As he stepped onto a boat on the Indonesia coast, Barat Ali Batoor knew he might not survive the voyage to Australia. But it was a risk he says he had to take. Batoor’s family are Hazaras, a Persian-speaking minority who have endured persecution in Afghanistan and Pakistan. But his work as a photojournalist put him at an even greater risk, ultimately compelling him to take his chances at sea. On the boat bound for Christmas Island, Batoor filmed and photographed his fellow asylum-seekers and the terrifying infinity of the Indian Ocean. He says he knew he could be documenting his own death. The dangers of the voyage were no secret. Indeed, friends of his had died on the way. Still he embarked on the journey too, describing the reasons as “very simple”. Batoor was born and raised in Quetta, Pakistan, but moved to Afghanistan as a young adult hoping to help rebuild the country. He found work as an interpreter and photographer for the United Nations, the U.S. Embassy and several European news organizations. He struck a nerve with his exposé on the coercion of Afghan boys into a life of sexual abuse. Some of the former warlords who were involved in the practice became aware of his photo essay soon after it was published in The Washington Post in April 2012. He began to receive death threats, he says, and realized he had to go. Batoor went back to Pakistan, but as an ethnic Hazara did not feel any safer there. “I could be killed any time and very easily,” he says, so he paid smugglers US$ 8,000 to get him to Thailand, Malaysia and then to Indonesia. The boat to Australia cost a further US$ 6,000, but he hoped it would land him in that peaceful place. Batoor’s photographs and video footage show the terrifying scenes as the boat began to leak and the water pumps failed. Passengers began to cry and pray. All 93 were lucky to survive. 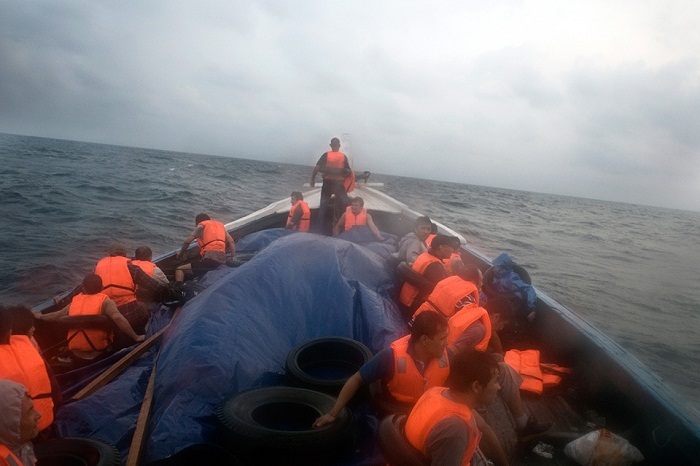 The boat crashed onto rocks on a small island off the coast of Java and everyone on board swam to shore – Batoor’s camera was ruined but his memory card survived, “It was a miracle.” The asylum-seekers were then arrested by Indonesian police and taken to a detention centre. They all escaped on the first night. A traumatised Batoor waited in Jakarta for his claim for refugee status to be processed by UNHCR. 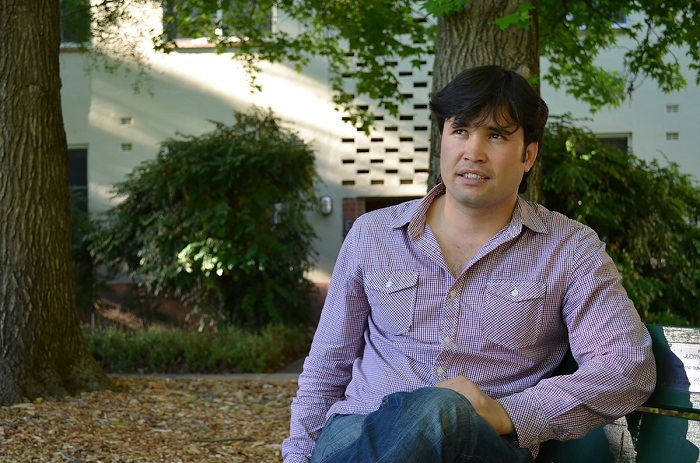 With the help of sponsorship by war photographer Tim Page, who had worked with him in Afghanistan, Batoor was able to resettle in Australia. 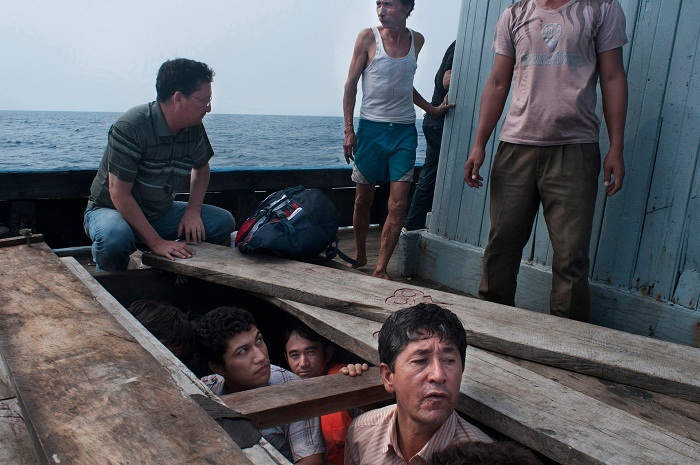 Now living in Melbourne, Batoor has reached audiences worldwide with his photographs and footage, vividly showing the risks asylum-seekers take when travelling by boat. In 2013, one of the images won the prestigious Nikon-Walkley Award for Photo of the Year. Communicating the stories of asylum-seekers and refugees has now become his life’s journey. This Christmas season has been an interesting one, involving trying to help a desperate refugee to be reunited with his family. Countries make laws that become insurmountable hurdles for people in desperate situations. The laws become far more important than the human beings involved. The law demands that a family lives together on regular basis to be regarded as a family. How can an asylum-seeker who is not allowed to travel out of the country where he seeks asylum, live with his family who is thousands of miles away. All documents need to be officially legalized in an Embassy of the country to which the family members seek to travel. An Embassy of that particular country, which is based in a neighboring country, cannot legalize the same documents. Families with no income have to borrow from relatives and friends for payment of all these documents as well as for traveling between several countries. What happens to the children in families like this? Who cares about their schooling, their safety, and their human rights? Only the paragraphs of the law are regarded as legal. Any tiny dot or comma in the wrong place can destroy a whole family’s hope for a future. “So what?” say those who live in their comfortable bank-owned houses, driving new cars, having the latest TV-set, smart telephone, iPad and whatever. That’s not our problem. Let them find a way of living where they come from. A way of living? When there is hardly any way of survival! So what? That’s not our problem say the leaders and bureaucrats. They should stay where they are and not come and take what is ours! Our ancestors from Europe invaded their countries for centuries, taking all their best riches; leaving them with arid mountains and dry rivers. Our White-Faced brothers and sisters bomb their lands and make it impossible to grow crops without risking the lives or limbs. Who cares? Ask the workers with regular wages. That not our problem. Why did they allow insurgents to hide in their caves and plan attacks on the white race. They must not blame us for that. Who cares? Is there anyone out there who cares? What will our houses and TV-sets and iPhones and iPods mean when we lose our families, our health; when the weather changes so our forests dry up, rivers fill with poison? Who cares? We are all one family. We all need to care for someone somewhere. Living just for ourselves will kill us slowly, miserably, painfully, eternally. We care. I care. You will care if you look into the eyes of one suffering person. Do you dare to look? Just one person. No one asks you to save the world. You can’t. Neither can I.